On the last weekend of October I have a small confession to make… In the past, I have walked the streets protesting at services being cut back for patients with cancer but have actually never worn a pink jersey. For most of my breast cancer life I have mostly ignored or just not bought into the pink season. I have dutifully bought the pins/ribbons but felt no different than supporting any other charity. Those of us with breast cancer do not need to be reminded for one month of the year as we live it every day. 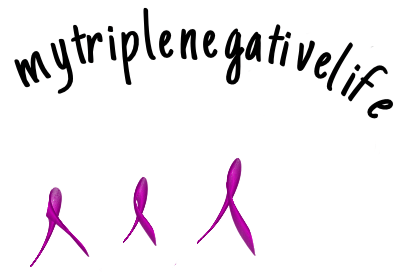 As Marie’s post last week demonstrates, many of us feel a disconnect with Pinktober and the reality of living with breast cancer. It continues to evoke mixed feelings amongst us but there are positives. Some of these within Ireland include establishing a breast screening service in 2000 with BreastCheck. Our cancer services are now on a par with international standards with eight designated centres around our small country. The advancement of educational campaigns through the various charities on being breast aware empowers women to be cognisant of the importance of knowing their bodies and checking for any abnormalities. There is still much room for improvement hence the need for patient advocacy. Next year I should be eligible to have a free mammogram- that is twenty years after I was first diagnosed. Questions then arise at what age should breast screening commence? From where I am standing there seems to be many women diagnosed at a much younger age….That question still needs to be answered. Where is all the money going in research? According to metavivor.org only 2-5% of raised funds for breast cancer research go towards metastatic breast cancer research. Siobhan at being dense.com continues to advocate for women with dense breasts. Due to the advancements in research we are living longer so now maybe we need to look at long term side-effects and what that may mean for some of us? I suppose the bottom line in breast cancer awareness is that I was fortunate to be breast aware back in 1999. I had a health care background. When diagnosed I was working in an area that cared for breast cancer patients. I remember when training in the late 1980s, a prominent Consultant Oncologist lectured us on breast cancer and implored us to check our breasts regularly. I believe that his words and circumstance had a direct effect on the outcome of my diagnosis and that is why I am alive today. Knowledge, research and awareness are key to prolonging our lives. I appreciated reading your thoughts on pink mishmash. Like you, I’m an introvert and sometimes I think I am not doing nearly enough either to raise money or whatever because I am not out there doing more. I’m definitely a behind the scenes person, or I should say, behind the keyboard person. Your last sentence sums things up nicely, but perhaps we need to focus more on the first two. Knowledge and research are what will ultimately save lives. Thanks for the post.